This one is huge. 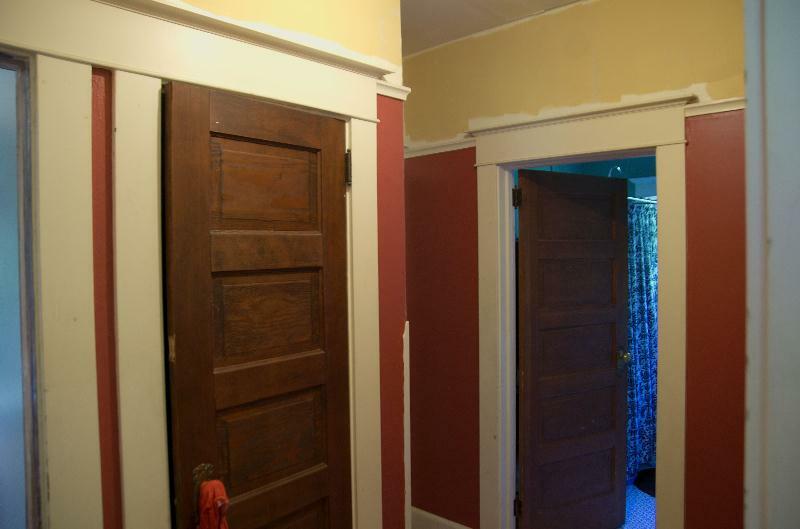 Other than the bedrooms (one of which became the family room), the hallway was the only downstairs area that had painted woodwork. It was stained originally, but a long-ago previous owner felt the need the cover it all with paint. We’ve long felt the need to undo that but have never taken any action. 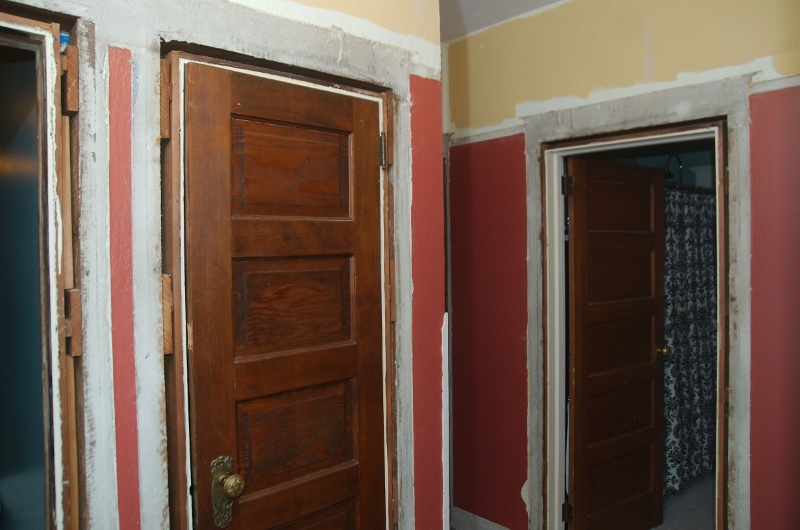 Today I removed all the trim, so we can take it to get dipped & stripped. The door jambs will unfortunately have to be stripped in place. It will be very exciting to have the woodwork match the feel of the rest of the house. 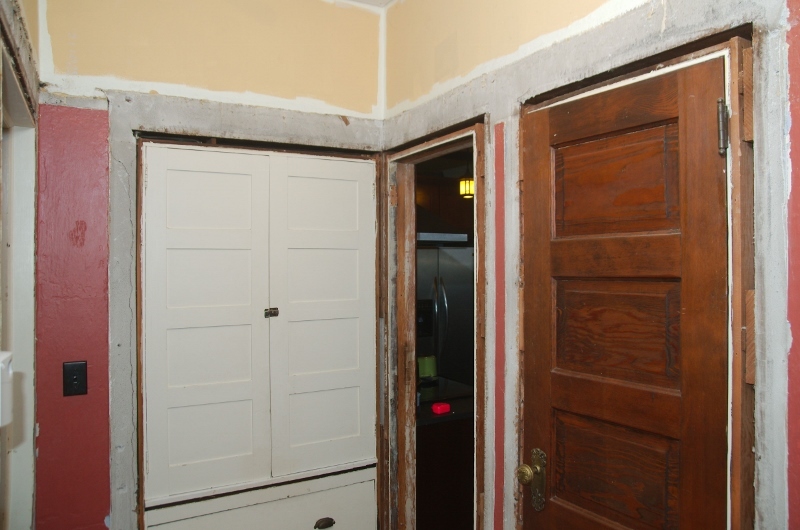 Do you have plaster walls? 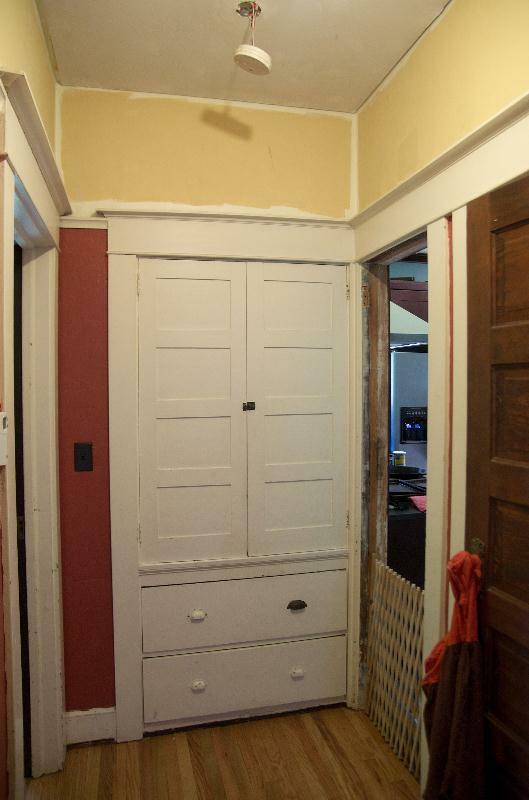 If so, any issues with pulling the trim off of the plaster and leaving the plaster intact? If you’re careful, out can be done without much damage.